So what has my calendar had to show me this month? Well to be honest it isn’t a favourite and it features a place I don’t know. An unknown lady sits on a park bench. The park is on the edge of Eastbourne and is called Hampden Park. 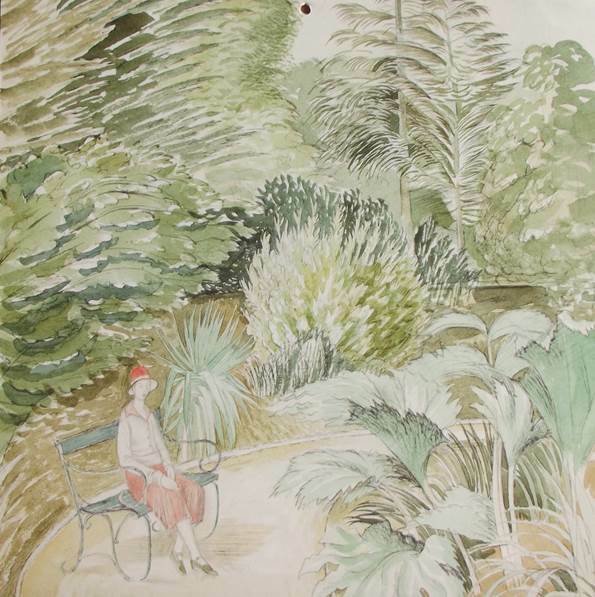 It is a pencil and watercolour piece of work and dates from quite early in Eric Ravilious’s all too short career – he produced this in 1928. Eric lived in Eastbourne as a lad, and some of the time that was at Hampden Park. He attended school and art college in Eastbourne so this is very much his home. I said I didn’t know Hampden park, but one bit of it was familiar to me. Guess what? It was the railway station. Virtually all trains went there twice as they made their way between Lewes and Hastings. Eastbourne was down a short branch and as a major town it needed the express trains from London and the stopping services from Brighton. Hampden Park was on that branch and as a result got a fantastic service of trains to Eastbourne. 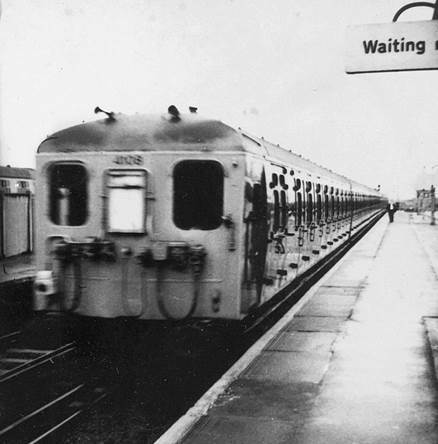 There was an avoiding line that allowed a rush hour train to miss Eastbourne and travel direct on to Hastings. It was always a treat to travel this rarely used mile or so of line. The track was not polished by frequent trains and when one did pass, it made awful grating noises. I find it hard to believe that the line was closed. It probably indicates the end of loco hauled goods trains in the area. Over the month, I have learned to love that Ravilious picture and almost wish I had actually got off a train at the station to visit the park. There can rarely have been a village jumble sale, back in the 1950s, when either my brother or I didn’t come home with a box camera. This was the era when the old Box Brownie, and many other makes, had had their day and were being discarded. The old cameras were simple and rugged and suited to simple, fair weather photography where the image being taken was bright and distinct enough to be seen in the little postage stamp sized, waist level viewfinder. Most of these cameras were fixed focus which meant that views from about ten feet away would be sharp enough and anything closer would be blurred. Most had just one shutter speed – about one fiftieth of a second or so called instantaneous, but unsuitable for taking a moving image. Let’s face it, a car travelling at just 30mph has moved nearly a foot in the time that shutter is open. Most had no alternative to a very small aperture to let the light in – that helped to make sure images were in focus – so were really only suited to bright sunlight conditions. And most of those that brother and I acquired, were played with, dismantled to ‘see how they work’ and then discarded. Grandad had used a box camera and we can see here one of his attempts to take an indoor photo. Grandad used the only variant on his camera, known as ‘bulb’. This enabled him to hold the shutter open for a suitable length of time, maybe several seconds. 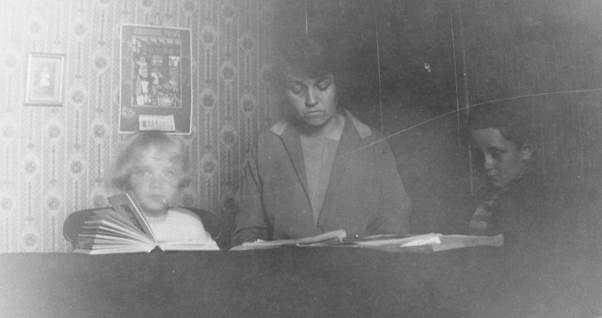 My aunt, grandmother and dad, who are the subject of the picture, would have been told to sit absolutely still and pretend to read. And the outcome was a very flat picture, limited in contrast. Grandad did not deem it worthy of the cost of printing. I have the negative and can use modern technology to enhance it a bit. At a much more recent sale I bought a box camera for old time’s sake. 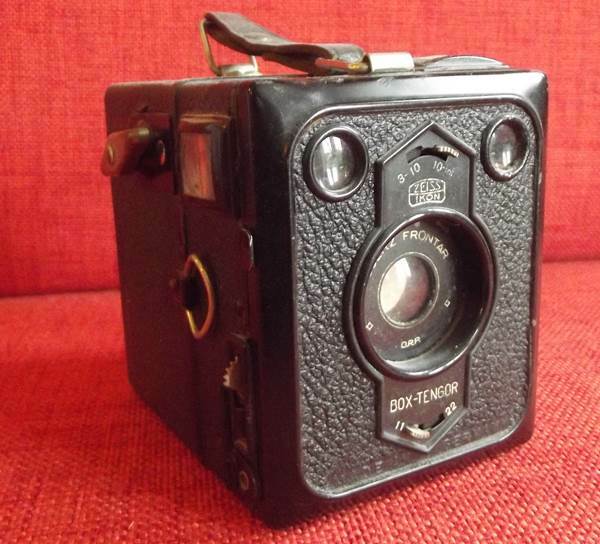 This is a sturdy little Zeiss Ikon and quite classy for a box camera. We can see it has a couple of focus settings – either 3 to 10 feet or 10 feet to infinity. You could, in theory, use the camera for portraits of faces. It has two aperture sizes – either F11 (small) or F22 (tiny). 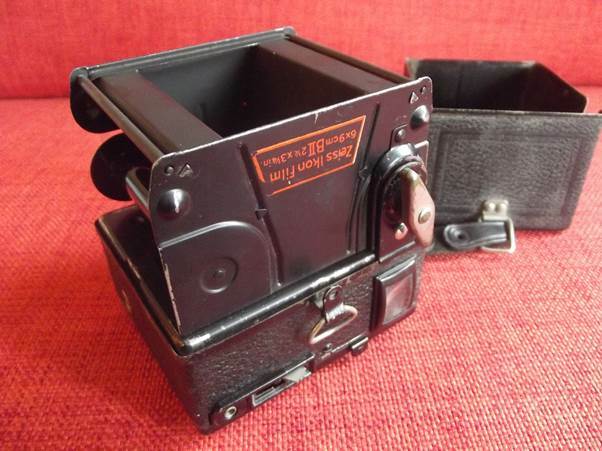 The controls on the left hand side include the film wind on, one of the two postage stamp viewfinders (the one for portrait shaped photos, the lever for opening the camera to change films, the shutter release and the mechanism which allows the change from instantaneous to bulb. The camera is made of metal. Cheaper ones were made of thin wood. Inside we can see the film holding spool and the rollers to keep the film taught and straight. There’s also a mention of film made by the camera firm. This camera, when I acquired it, had a roll of exposed film which I have done nothing with. 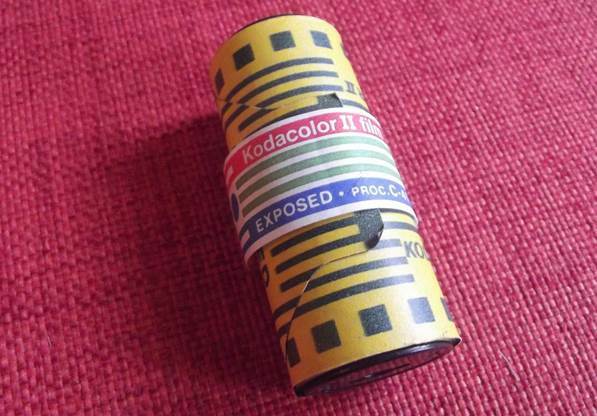 Amazingly, it’s colour film. I could still be tempted to have the film developed just to see what was on it but then I think that the owner didn’t bother so probably there’s nothing worth seeing. These cameras, in various forms, were made from 1926 until the mid-50s. This particular model may be a mid-30s example. Once upon a time you could take parcels to a railway station and pay your money and get them delivered. It may be that you needed to send luggage in advance, if going on holiday or maybe you had a product of some kind and needed it delivered. At the station, somebody would paste a label on your luggage which named the destination station. Your luggage could be loaded into the guard’s compartment of a passenger train and the guard would ensure it made its way to the destination station. As a train spotter in the early 60s, I collected these luggage labels. A brave boy (that was me) could go to a ticket office and just ask. If luck was in, you’d be given a whole wad of different labels. And they’d be labels with history; labels printed by long gone railway companies; labels, in some cases with aspects of design, or just destination stations which made them interesting. 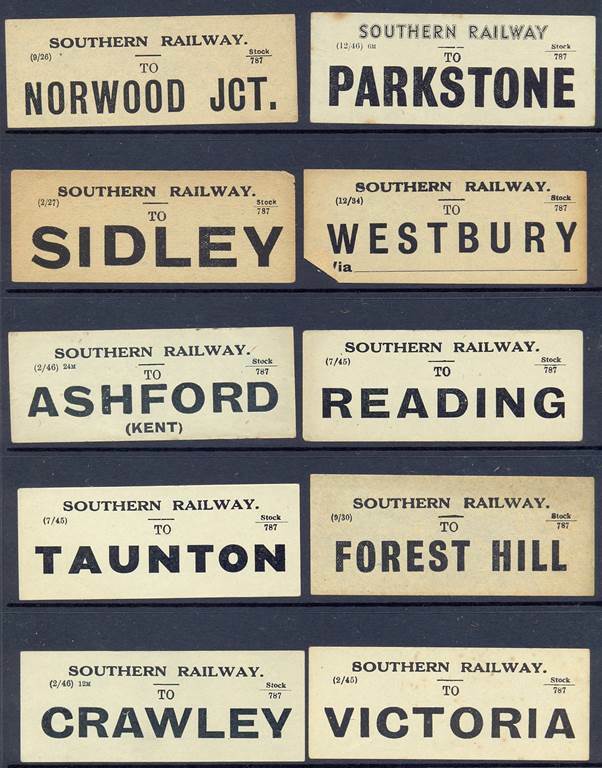 Here’s a selection of my Southern Railway labels. These labels have a month and year of printing on them so the oldest is the Norwood Junction one which dates from 1926. But let’s draw particular attention to the Sidley label. This one dates from 1927 but Sidley was of interest. It was the local station for my dad when he was a lad and is on the Bexhill West branch. One of my first posts on this blog was about that line and it remains my most viewed individual page. You can click here to read it. I like the label for Parkstone. This is nearly twenty years newer than the Sidley one and uses what I call the Southern Electric font for the company name. Mind you, I don’t think electric trains reached Parkstone which is between Bournemouth and Poole until 1988! 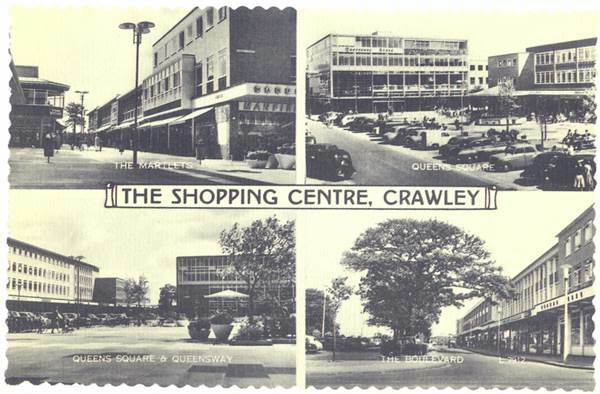 A mention for Crawley which was my home town for most of my childhood. 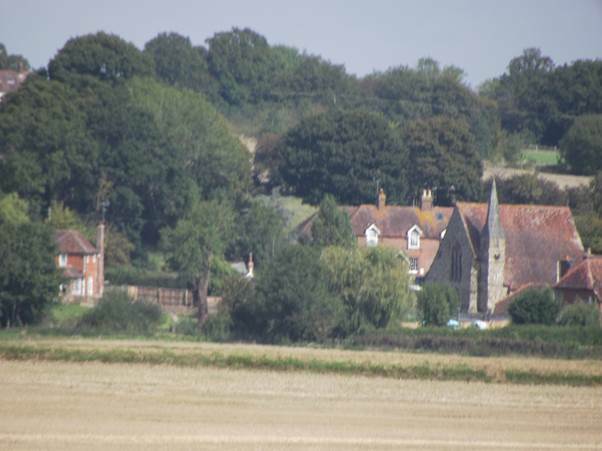 Cross in hand is a settlement in East Sussex just outside Heathfield. It is memorable firstly for its lovely and unusual name and also for its windmill. My family first got a car in 1959 and it must have been soon after, no doubt on a visit to grandparents in Bexhill, that we drove past the mill and the sails (or sweeps) were turning. 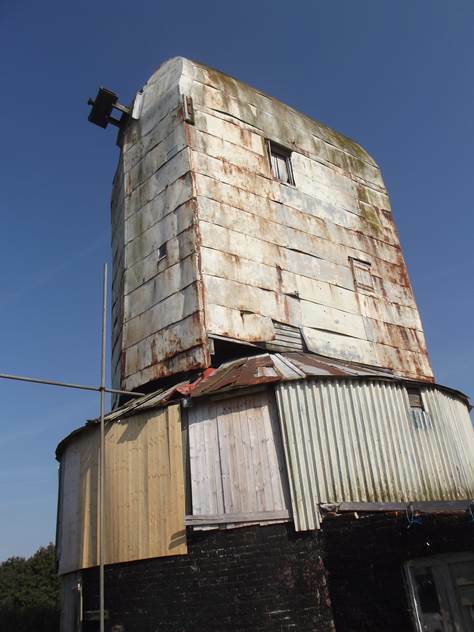 There followed a memorable time as my dad got permission for the family to visit what was still a commercial windmill doing the job it had been built for back in the 1850s and moved to the current site in 1868. It was, simply magnificent and made a huge impression on ten year old me. Sadly, I don’t have a photo from then, so I’ll borrow one from The Mills Archive. This was actually quite early in the twentieth century, but it still looked the same in about 1960. My grandparents knew of my interest, and from time to time sent me news cuttings. One made me laugh. 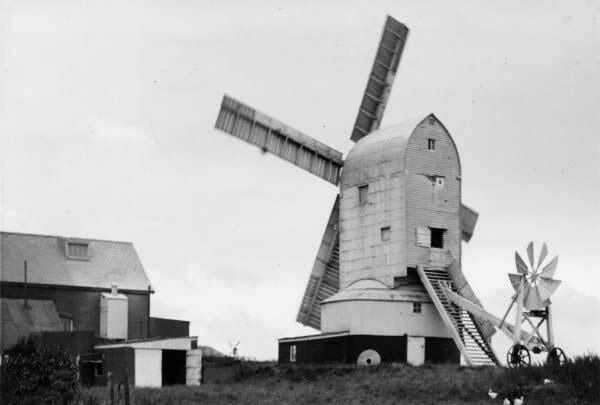 That fantail, on the back of the mill turned the whole structure of the post mill so that the sails always faced the wind. Big metal wheels supported it and these, if my memory is correct, ran around a metal track set in the ground. On one occasion a wheel came to rest on the hairy end of a cow’s tail and the cow was trapped. Poor beast! I shouldn’t have laughed and I do not know now, how long it was until it was released. Another news cutting was of a lightning strike which severely damaged one of the sails. 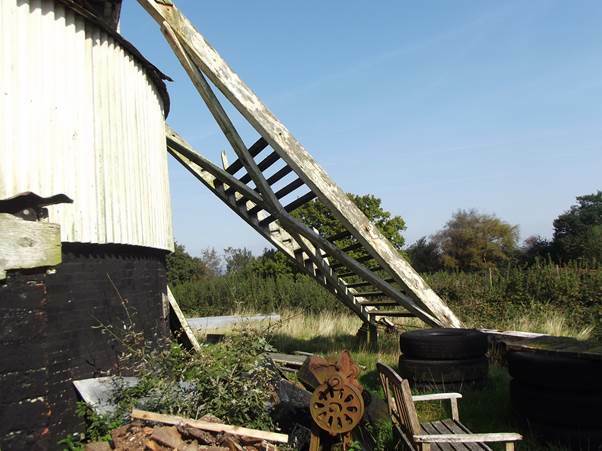 It was removed, along with its opposite partner and the mill continued under reduced power. The end came in 1969 and sadly, since then the mill has fallen into decay as my photos from September 8th 2014 will show. This mill was called the New Mill because there had been an older one. The roundhouse still survives. 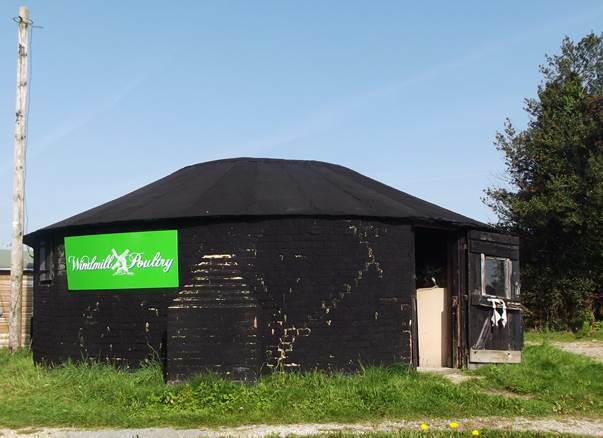 It’s in use as a poultry feed place. There it is, devoid of sails; devoid of glamour; devoid of beauty. It’s enough to make a grown man weep. The ladder up the back of the mill no longer provides access. The fan tail – a wonderful bit of machinery – is no more. 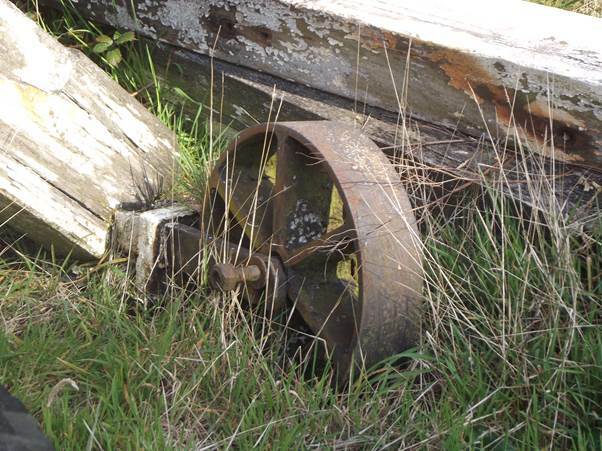 A wheel on the bottom of the ladder – not a cow catching wheel for that was one supporting the fantail itself. I pose, rather mournfully, with the mill I had known and loved. There is a family historyto the area. 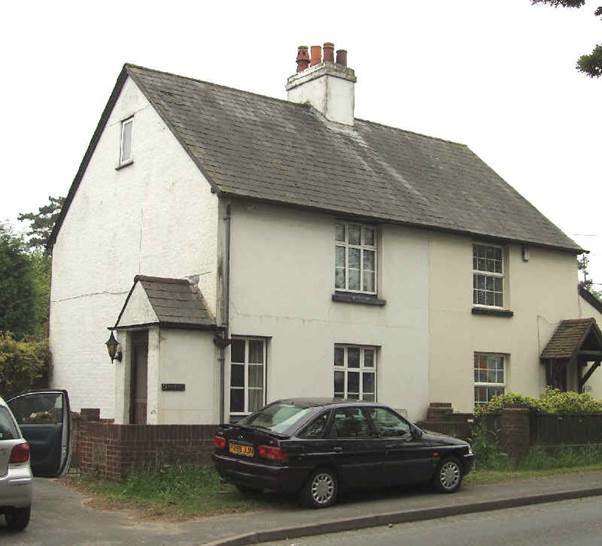 This little semi-detached cottage (photo taken in 2006) in Cross in Hand is an ancestral home. 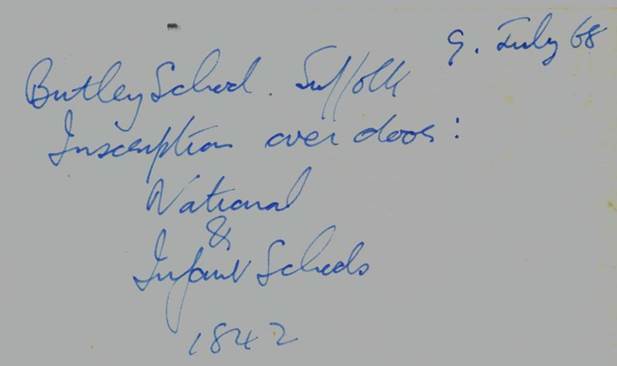 In 1891 my great great grandfather was there along with a whole swathe of children and grandchildren. Sadly, they had gathered for great great grandmother’s funeral. But back in 1960, I had no idea of this and neither did my father. This Sandhurst is not to be confused with the town in Berkshire – home of the Royal Military Academy. Sandhurst in Kent is a small, rather scattered village close to the boundary with Sussex and the little village of Bodiam. I have ancestors called Mallion and they seem to originate from Sandhurst so let’s take a look at the place. 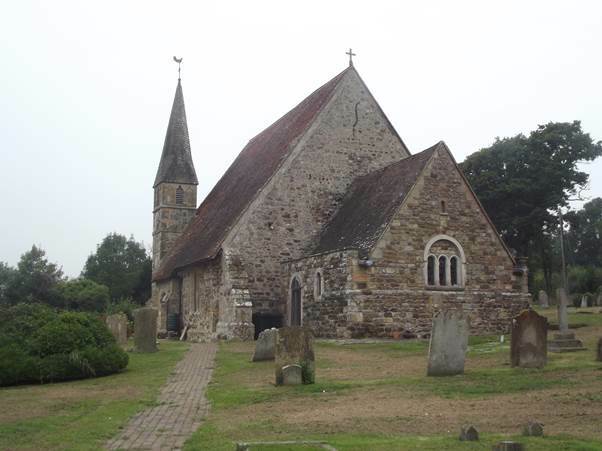 We’ll start with the church which is a mile or so from the main village and in a separate settlement called Sandhurst Cross. To be honest, I find that flat topped tower just a tad austere. But many a Mallion will have been hatched, matched and despatched here although there are not, as far as I can discover, any gravestones. But then there was extreme poverty. 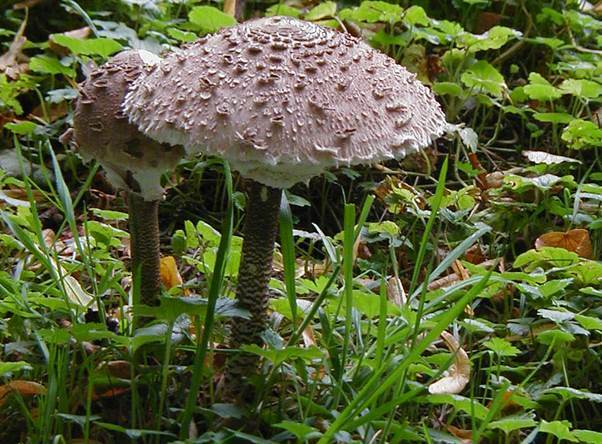 I’d like to think that perhaps some toadstools mark a Mallion. 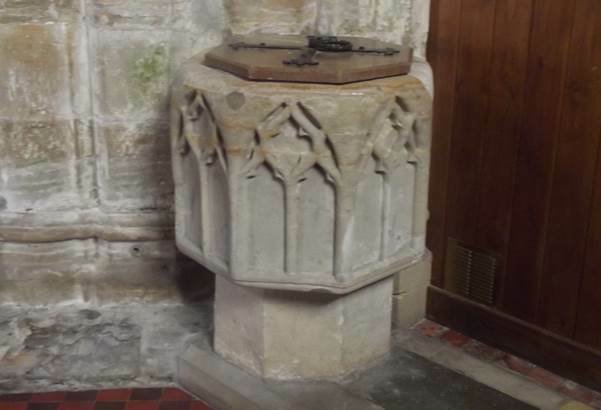 Here’s the font where G G G grandfather John Mallion, and his mother before him, were baptised. Cottages near the church are probably a bit too classy for my ancestors to have lived in, but no doubt they knew them. Let’s now move to the village, sometimes known as Sandhurst Green. Historians believe the little migration was for economic reasons. 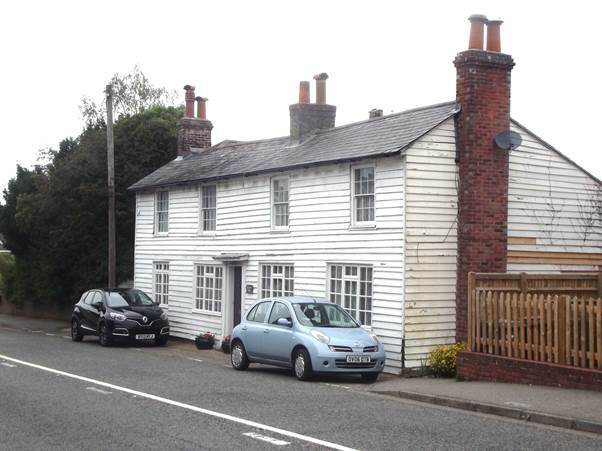 There are typical weather boarded, Kentish cottages. Ancestors would have known these cottages. Cars are unavoidable these days but I reckon this place is a favourite of mine. I’d like to think ancestors might have lived here. I’m sure that would have been more than one dwelling. According to the King James bible (1 Kings Chapter 10) The Queen of Sheba visited Solomon in Jerusalem and that version of the bible uses these words. Of course the word train meant a retinue or following – which is really what it still means but meanings are often forgotten and for many the word train, conjures up a railway train. Jokes have often been made about the Queen of Sheba being an early railway user but in one case a name stuck. I was looking through some teenage photos of mine and came across this one. It isn’t the best photo you ever saw, but units like this Southern Electric suburban one were known as ‘Queen of Shebas’ because they were deemed to be very great trains. I now quote from another bible – one of my old train spotting books. 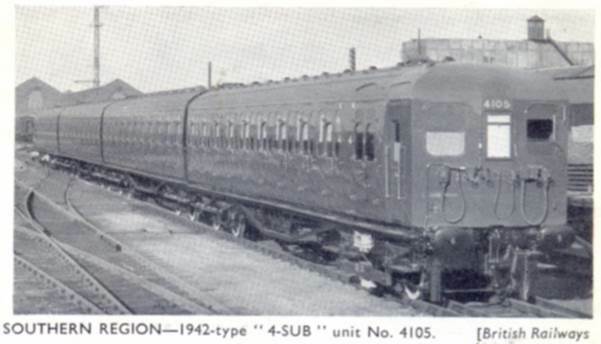 No further new suburban stock appeared until 1942, when a new four-car unit, 4101, was built to Mr. Bulleid’s design, followed later by 4102 to 4110. 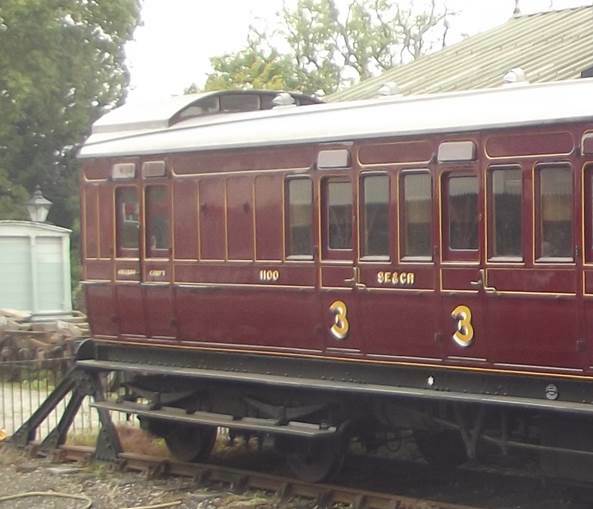 The bodies are built with steel sides and wooden roofs, and seat six passengers on each compartment seat, whereas all earlier stock only accommodated five. It was that six a side seating which gave them the name great. They had a huge carrying capacity. Whereas similar, older trains had seats for 280 people, a Queen of Sheba could seat 456 – a massive load, by comparison. I travelled only very rarely on a Queen of Sheba and I have to say they were profoundly uncomfortable. The 12 people in each compartment had to lock knees with the person opposite. The seats were very upright and narrow and it was all very cramped. But they were designed to cope with the huge rush hour crowds in London – and actually, they proved to be a bit of a nuisance and designs soon changed. The problem was station time. With all those dozens of single compartments, potential passengers walked up and down the platform seeking a seat or a suitable compartment. Trains ran late because they spent too long at stations. Future builds took out the compartments and each coach became an open saloon with a central gangway. This meant passengers had less seats, but they could get on and then find a seat, or stand in the gangway. That enabled trains to keep to time. Here’s a better picture from the same train spotting book – and to my mind the old Queen looked far better in the plain green livery. 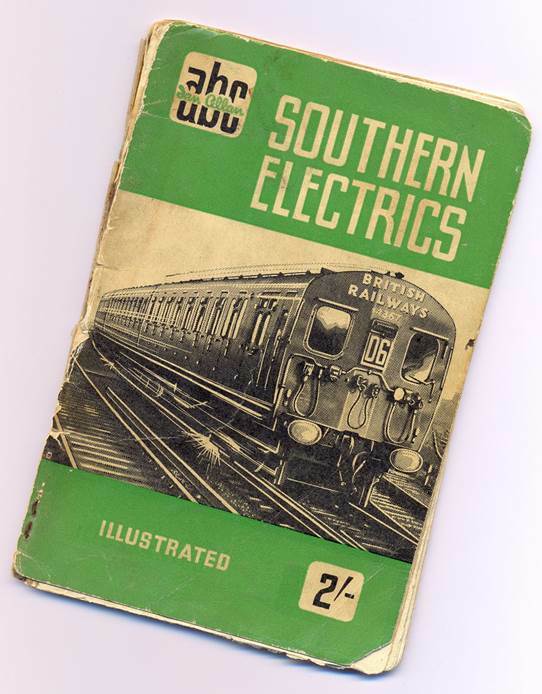 And here’s the front of this – the first train spotting book I ever had – and an old one even then. It’s battered, but much loved. My daughter works for a book company and from time to time she is able to find peculiar books going very cheaply. She obviously decides, ‘that’ll do nicely for a happy nerd’, and they become a gift for me. 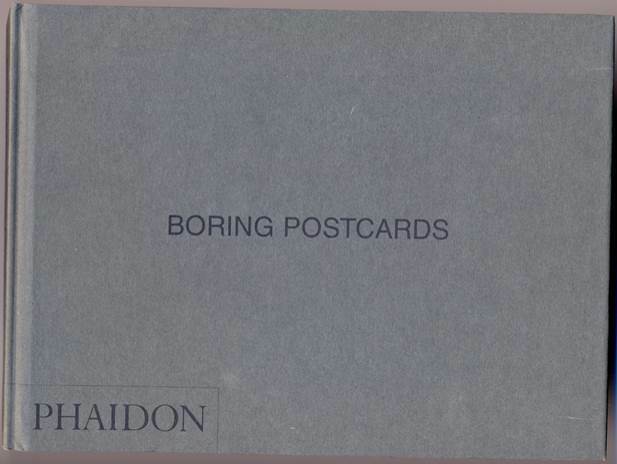 One such book is called ‘Boring Postcards’ and from the outside it certainly looks as though it’s an uninteresting publication. And now I’m going to disagree with the compiler and what he considers to be boring. Nearly all of the selections are from the 1950s and 60s. They feature things we wouldn’t think would make a postcard in the 21st century. There’s a section devoted to motorways and service stations. Another group focuses on nuclear power stations. These were part of that brave new world; part of the white heat of the revolution which Prime Minister Harold Wilson spoke of. Back in the 60s motorways, nuclear power stations – even modern bus stations and modern shopping centres were exciting, modern innovations. They weren’t boring at all. Let’s look at a couple of places shown which I know. The first is my old home town, the new town of Crawley in Sussex. Crawley’s new shopping centre was seen as a fantastic place when it opened in the fties. I recall that our branch of Woolworth’s store was the largest self-service store in Europe at the time. It was the queen herself who came to declare Queen’s Square and the road through it (Queensway) officially open in 1957, I think. Crawley had the wow factor. When we had visitors they all wanted to see this new town with all of its wonderful facilities. We became adept at doing tours. It has to be said that, like much of the architecture of the fifties and sixties it looks tired now. But boring, it wasn’t. 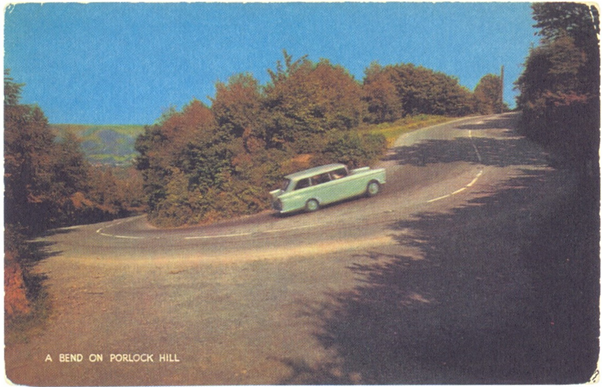 The other postcard I am picking on is of Porlock Hill in Somerset. This hill, with stretches at 1 in 4 (25%) was and is one of the steepest stretches on an A road in England. It was notorious as a place where cars failed and was always rather fraught with interest. Now it happens that my brother in law had a collection of photos, taken over all the years of motoring, of cars rounding this hairpin bend on Porlock Hill. As a sequence, showing how motoring changed, it was an interesting collection. So I think the book is quite interesting! Now actually, I’m of the opinion that birds should be free. I really can’t approve of them being shut up in cages. But no worries – for this is not about a cage for birds. Some might say this is sad, but it is about a railway carriage – this one. This carriage is called a birdcage and was once part of a three carriage set. What makes this a birdcage is the raised roof over the guard’s van. This raised section allowed the guard to look over the roof of the train and make sure all was well with all parts of the train he was guarding. The carriage dates from 1910, but coaches like this, albeit not so handsomely painted, were still around when I was a train-spotter in about 1960. I remember them with some affection. It’s possible my grandfather may have had the odd turn in one of those carriages, although he always preferred to be a guard on goods trains. 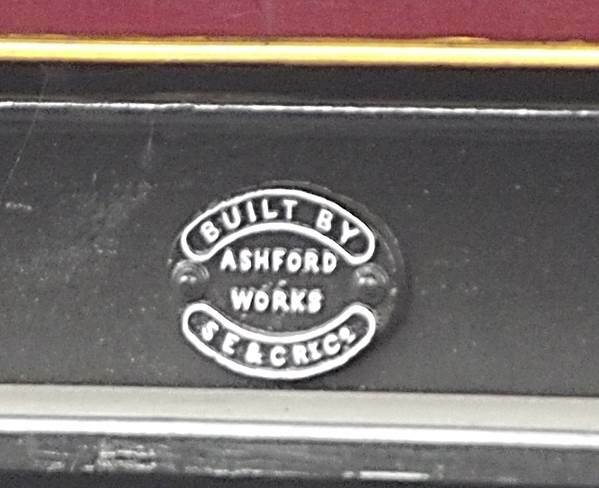 This carriage was built at Ashford for the South Eastern and Chatham Railway. I have very little doubt that there is a real family connection with this coach. At the time of the 1911 census my relative Norton Ware (he’d have been my grandad’s great uncle) worked in the carriage department at the railway works in Ashford. He was a timber converter and he had the same job in 1901. As far as I know timber conversion meant turning a tree into usable timber – so quite an early job in the production of a wooden bodied railway carriage. But I feel sure that the timber in this carriage must have passed through Norton’s hands. I regard this carriage as almost a family piece! 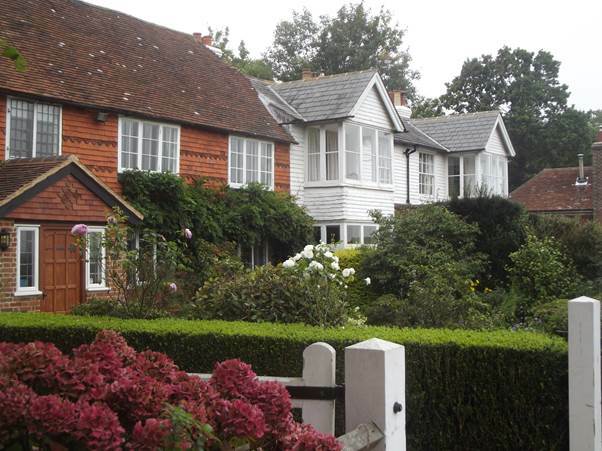 Granny was born in the heart of East Sussex. It was on New Year’s Day 1892 that Granny first saw the light of day. Her parents lived in the parish of Little Horsted at the time. But whilst dad was a local man, mum was not. Well obviously she was a woman, but she hailed, originally, from the little village of Butley in Suffolk. 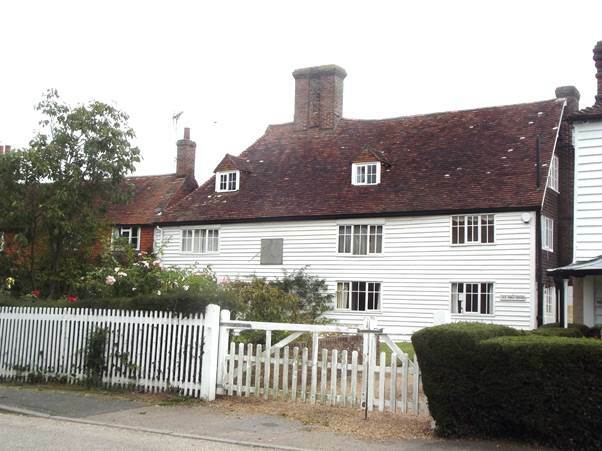 Why she and two sisters all arrived in the same part of Sussex is not clear, but a James Cable also moved from Butley to become a woodreeve and to live at Plashetts Park in Little Horsted. Maybe, in some way, the three sisters came with him, or maybe one did and the others followed. Anyway, Granny was no traveller but in her old age, when my dad had a car, he did take her about. 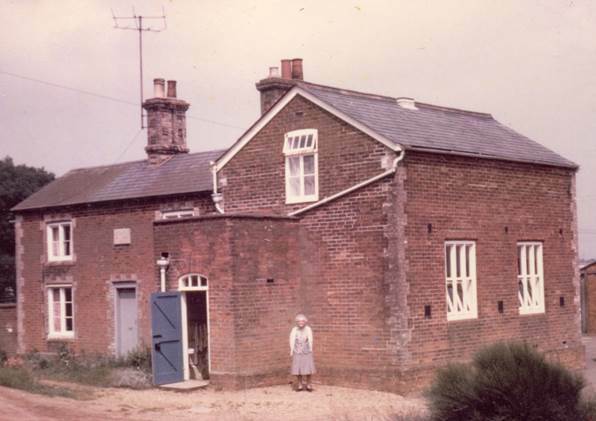 And so, in 1968, Granny visited Butley, birthplace of her own mum, and dad took a photo of her standing by the school which her mum had attended. 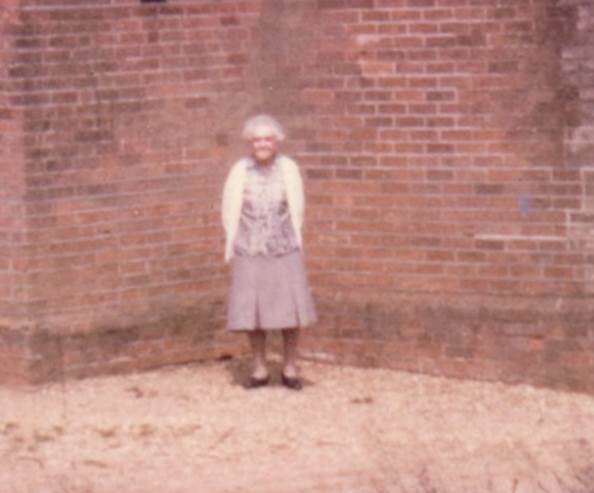 Granny looks small against the school – which I know is a private house these days and it probably was back in 1968. Let’s zoom in on her a bit. My dad was usually good with captions. I am sure this was quite a moment for Granny, to be standing in the footsteps of her ancestor and, indeed, ancestors. Generations of Crosbys came from Butley. 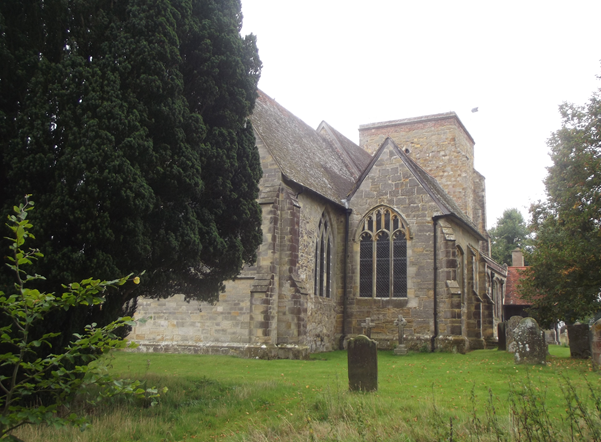 My three greats grandparents married at Newenden Church which is just in Kent. 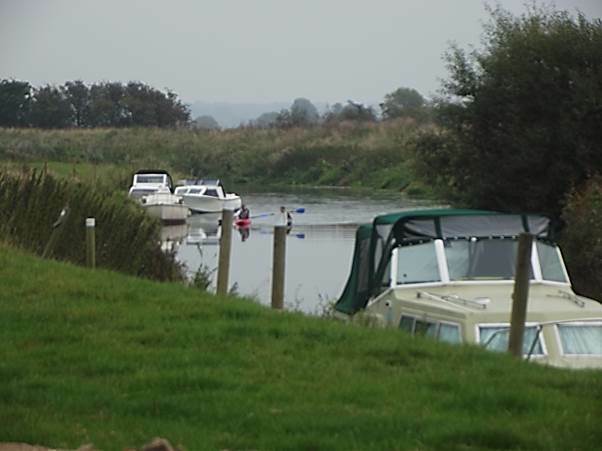 It is sited alongside the River Rother which is still navigable for quite large boats. I have visited it several times most recently, earlier this month. But first, let’s mention those ancestors with a Newenden connection. John Mallion was born in Sandhurst, a few miles from Newenden back in 1815. 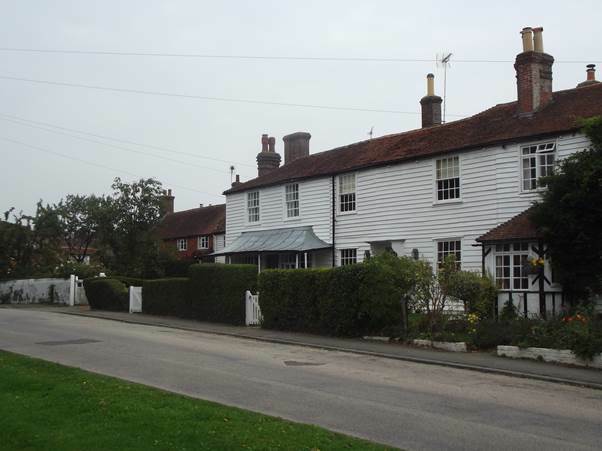 The little village of Sandhurst in Kent was where the Mallions lived, en masse. There would have been a time when loads of my relatives lived there. John’s mother was Mary Mallion, also born in Sandhurst in 1792. His father, named on his marriage certificate, was John Brissenden. I have never been able to trace him with any certainty. 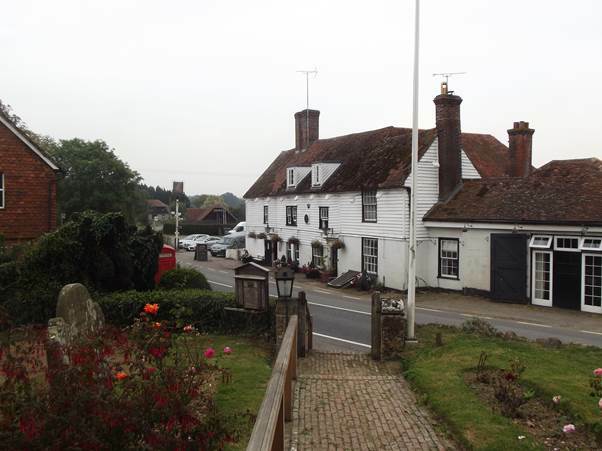 In 1841 John married Jane Huggett who was born just over the border in Sussex, at Peasmarsh. She was born in 1813 to Henry and Hannah. The Huggetts had a long association with Peasmarsh and Rye. Judging by the birth places of their children, John and Jane were in Newenden for 5 years or so. So let’s take a look at the little place. You can get a kind of overview of the little village whilst riding on the Kent and East Sussex Railway. And very pretty it all looks in its setting – with the church where the couple married in view. We do not know where they lived, but it may well have been away from their village centre for John, like many of my ancestors, was a farm labourer. 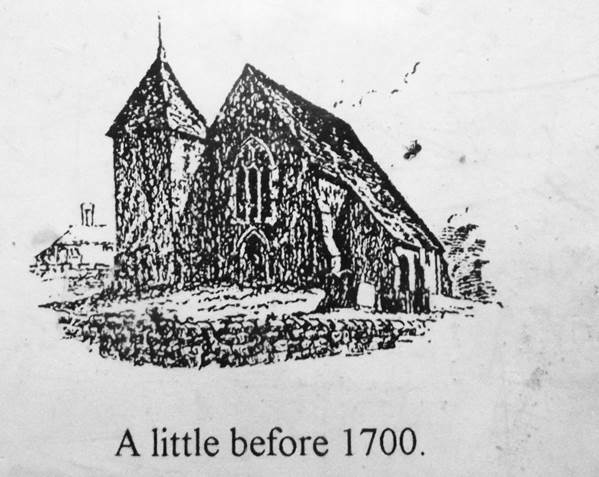 There’s the elegant little church which once had a more solid tower. I’d have preferred that. That little spire doesn’t look quite right to me. The pub is set more or less opposite the church. 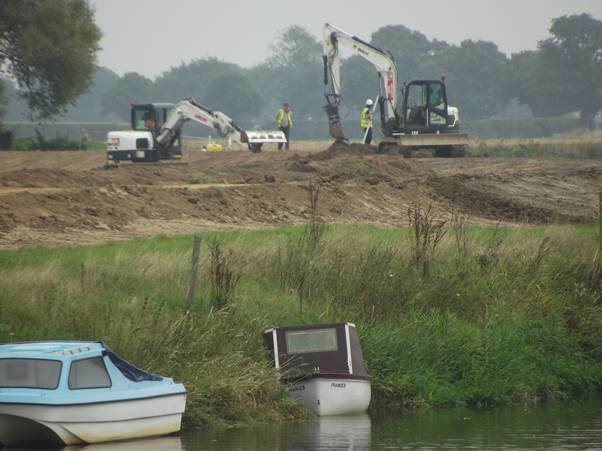 It was being dredged and was just a bit of a mess whilst we visited. 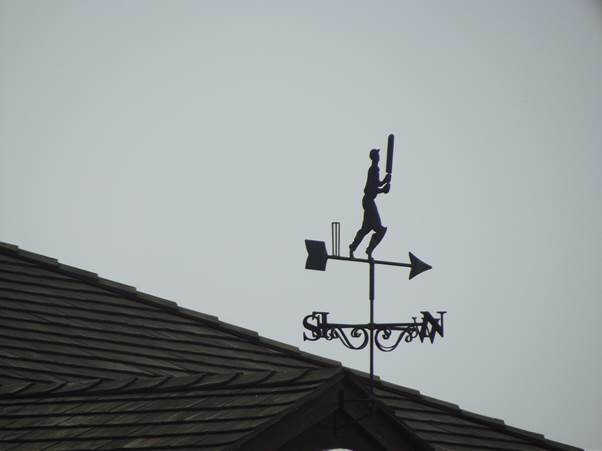 I’d feel very happy to watch a cricket match on the field at Newenden, under the delightful wind vane. 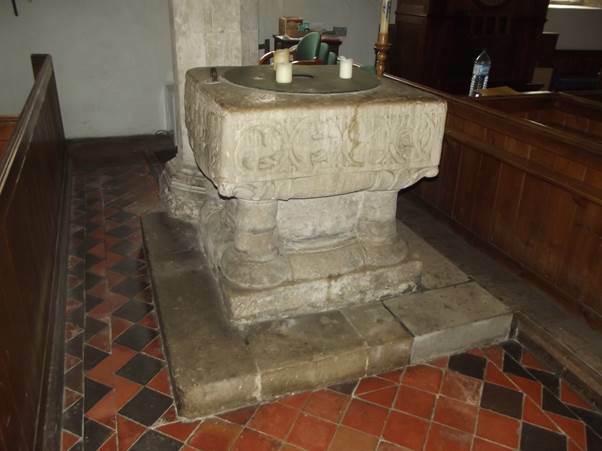 John and Jane would not have known cricket, but they had their first three children christened in this font. I do like visiting the places where the ancestors lived. They may have changed, but it still makes me feel closer to the old folks.